Central Catholic FFA installed two Juice Plus + Tower Garden Growing Systems, a vertical aeroponic system which can grow up to 20 plants. The towers have been planted with chive, sage, peppermint, lemon cucumber, jalapeño, and zucchini thanks to the donation by Randy Beasly of Bonnie Plants in Linden, CA. Juice Plus Hydroponic Towers filter water and minerals throughout the system allowing for the growth of plants. 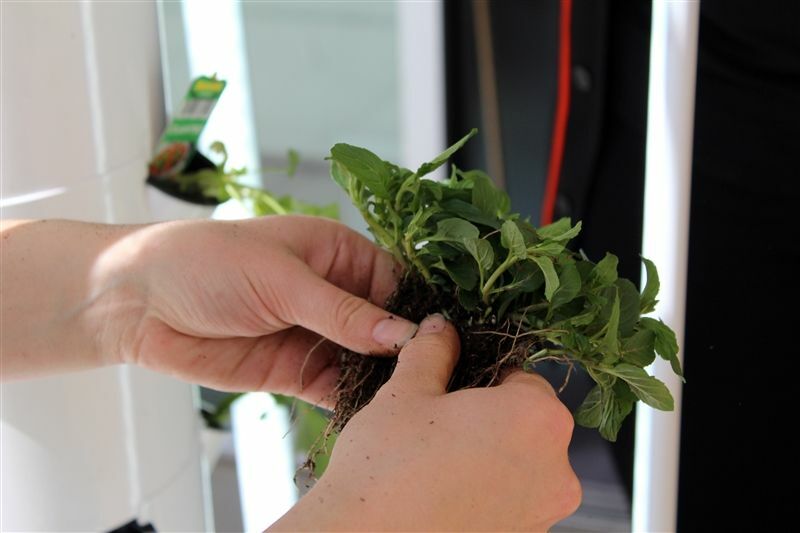 The towers are equipped with LED indoor grow lights, pumps, and timers. The Central Catholic FFA students will be monitoring pH levels of the water and minerals, overseeing the planting and harvesting of crops, and moving the towers outside daily. The idea for the project came from current senior Elisabeth Watkins. She was awarded the 2018 Domino’s Transformation Experience grant to improve healthy eating in her school and community. 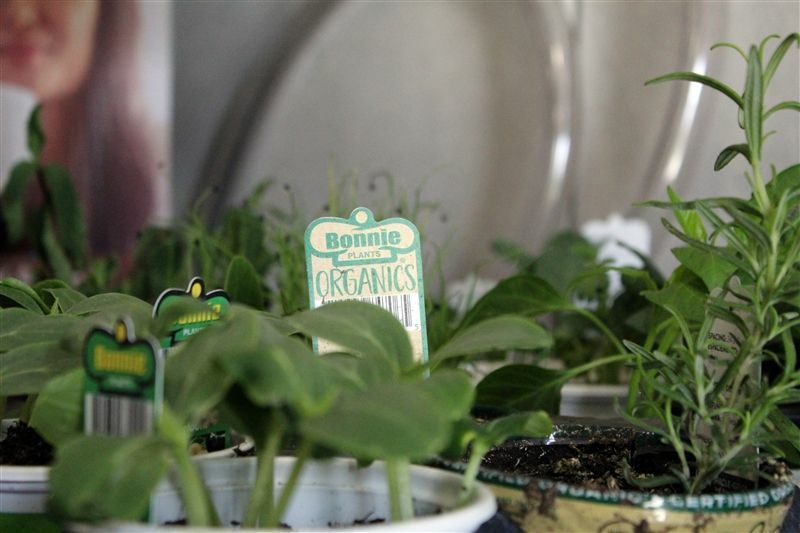 Watkins’ idea was to grow fruits, vegetables, and herbs on her school campus to be used in the school cafeteria. 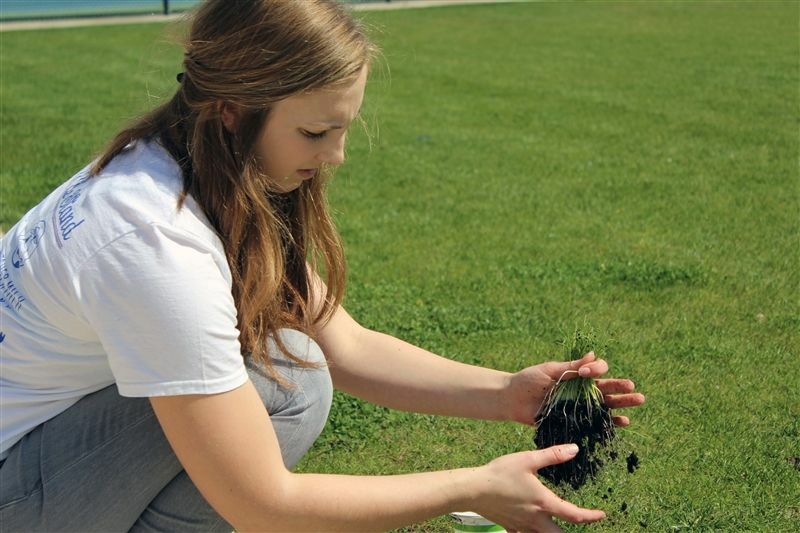 Watkins said, “When students have the opportunity to grow food themselves, they are more likely to eat the food.” Her push for students to see and learn about food production in a first-hand experience comes from her background in production agriculture and agriculture literacy efforts. 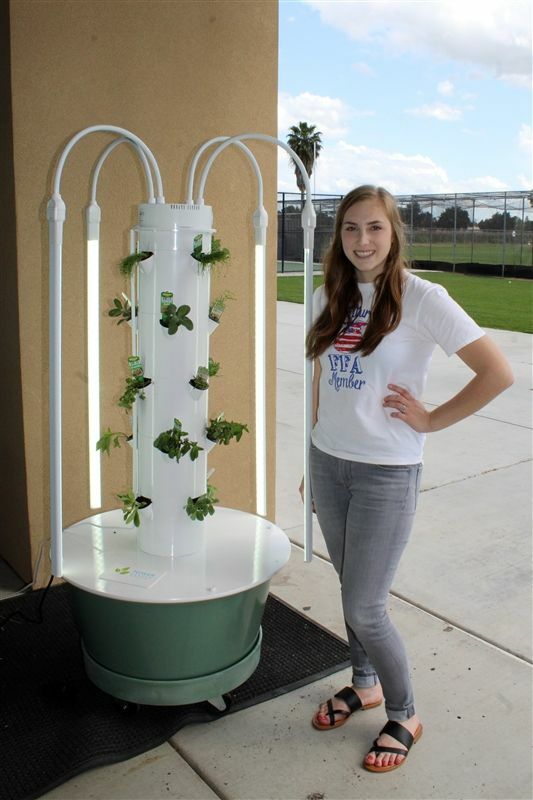 Senior Elisabeth Watkins with one of the two new grow towers. Elisabeth cleaning the dirt from the roots of the plants to prepare for planting. Some plants were separated to give them room to grow. Plants were donated by Randy Beasly of Bonnie Plants in Linden, CA. 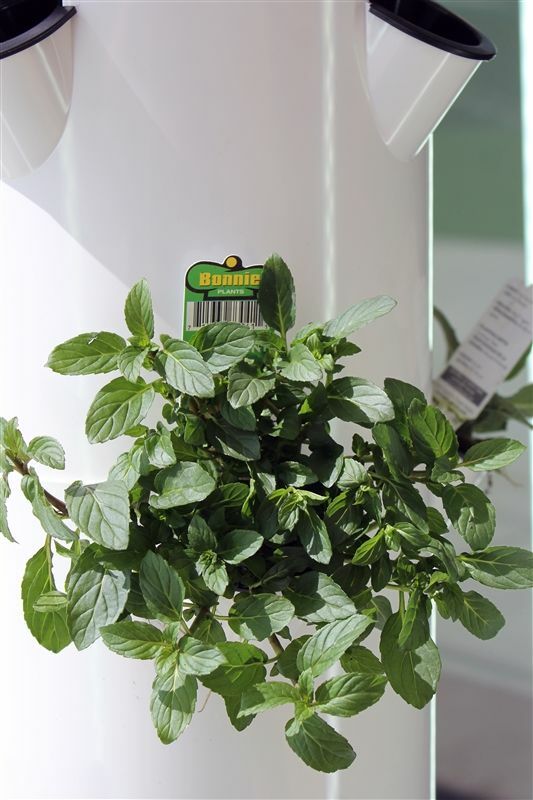 Peppermint planted in the grow tower.